When you search something on 2PS, as a client or a consultant, there are only 10 consultants suggested. Why? For the client, the answer seems to be obvious: only the consultants with the most points are suggested in priority, they are the most likely to answer to the specific needs of the clients. But why such a limitation for consultants? Consulting is based on trust. 2PS “requires” its members to meet up. A virtual relationship, evasive LinkedIn contacts or Facebook “friends” that are not …. We don’t want these in 2PS. To work with each other, consultants must trust themselves, meet, and share stories and tricks. Play Nice! All this can be done by attending to M33TUPs, C4LLs, and others 2PS events. It is how you can access the community: by making it become real and alive! How can we reach out someone we met in a 2PS event but whose name we have forgotten and who isn’t suggested in the 10 first consultants the research engine give to you? Each time you attend an event, you can access the attendee's list of this event. You can see their points, total score, their main expertise (strategy and HR, finance and tax, operations and TI, marketing and sales). After the event, you still have access to the list of the attendees who actually came to the event. If you want to have a faster access to the members of your League, and who are active on Facebook, visit the Facebook page of your local League. You can share your wishes, ideas or needs. 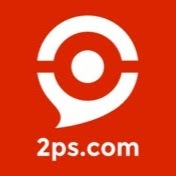 For example, 2PS experts in Paris is a private group exclusive for the members of Paris League. Be careful, not everyone has a Facebook account and people with suspended accounts (for inactivity for example) don’t have an access to these 2PS community private group. When you meet a consultant or when you find a precise profile on the research engine of 2PS network, you can add this person to your “Favourites” in "Contacts" menu to find him/her easily later (in progress). New members can feel powerless in contacts. But, if you are concerned, don’t panic, other members will contact you as soon as possible. They are motivated to meet you. First, your sheet can be seen in their news feed. Then, they can win bonus points thanks to you. For example, a private meeting with a new member will give to them (and to you) one sharing point. They are encouraged to give you work. If they give you a project which leads to invoicing during your three first month in 2PS community, they will win twice as many points. 2PS fosters old consultants to commit new ones, thanks to gamification and meeting. Get benefits from the strength of our network to commit yourself to the community and expand your local and international network of 2PS Members.